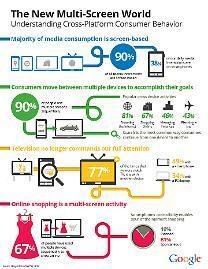 Consumer behavior patterns have changed dramatically in the last five years. Mobile devices are generating an increasing amount of traffic to websites, including e-commerce sites. Customers need to reach your information on all their devices and demand a positive User Experience when transitioning from mobile to desktop or vice-versa, because they expect to view the same site on your desktop as they do on their smartphone. In the world of online video, a whole new set of requirements needs to be addressed as videos are required to be played on multiple devices, which support different formats.